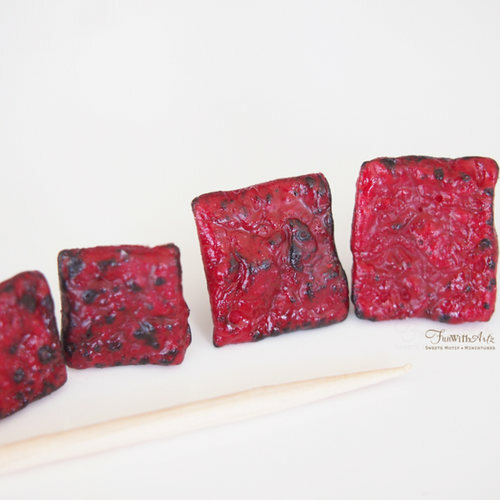 Bakkwa Slices handmade using thick Polymer Resin Clay attached to Stainless Steel Metal. 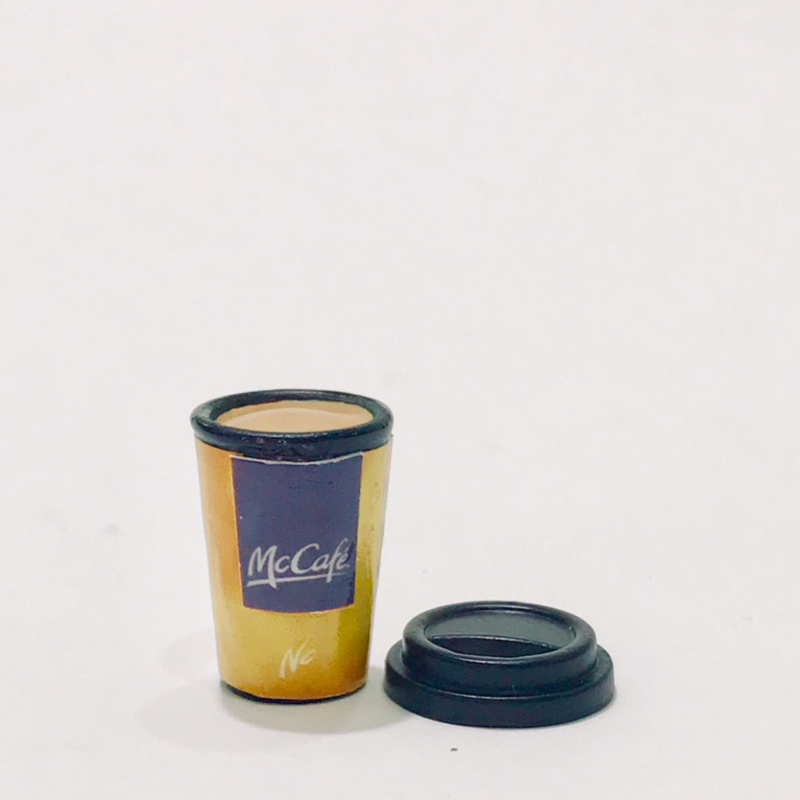 Made to order Item. Please allow 3 business days for crafting and complete drying before I can be hooked or attached as earrings :) They are definitely decorated with two genuine 4mm Swarovski Red Crystals on each Bak kwa. 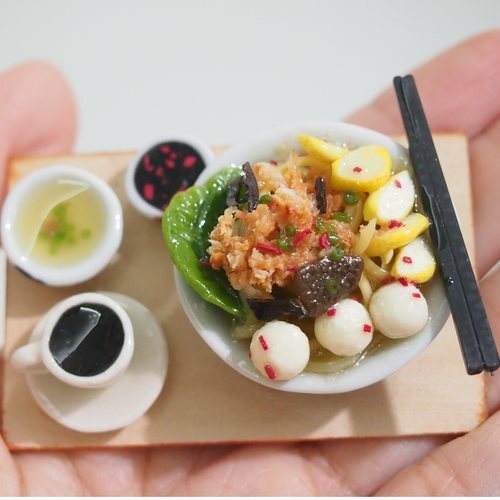 Rou Gan (肉干) or Long Yok (晾肉) is a popular Chinese New Year snack, which means having a robust fortune ahead. 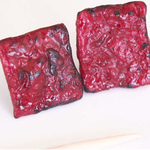 It is a type of thin square-shaped Chinese style sweet-salty dried meat slices. It is often made with mince pork. 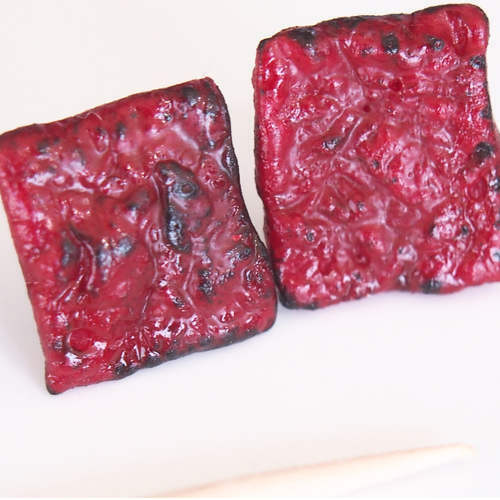 Bak Kwa (rougan 肉干) is a Chinese salty-sweet dried meat in the form of flat thin sheets. 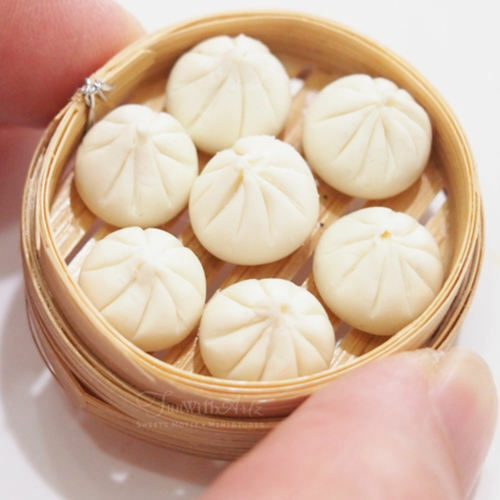 Popular snack and a must have for Chinese New Year. Happy New Year! 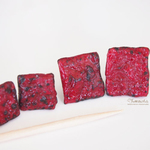 I am already in the midst of preparing for the New Year:) Please note: All pieces are Individually handmade without mold. Each piece is unique and features slightly different details. *** Kindly check the measurement provided to avoid disappointment. Products received may slightly defer from photos shown on the site as different monitors have different resolutions and color capability. 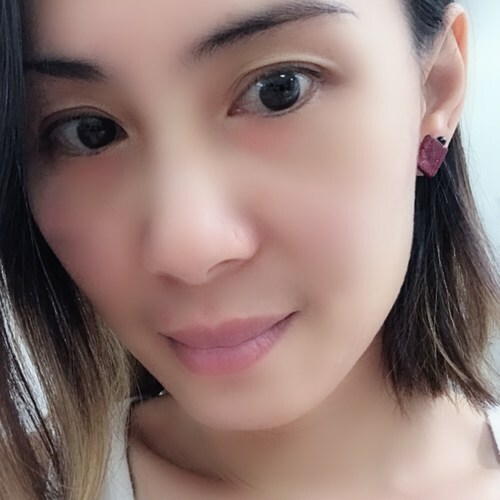 ♥ ♥ For sanitary reasons earrings and hair pins are NON returnable. 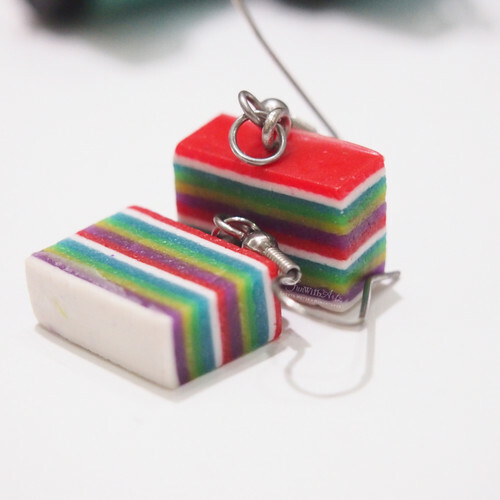 Also, I do not try on the earrings I made to sell. I will gladly appreciate if you can convo me or send me email about your experience with these handmade work. Taking Care of it :) - Please do not wear them while you're taking a bath, vigorous activities and while swimming. 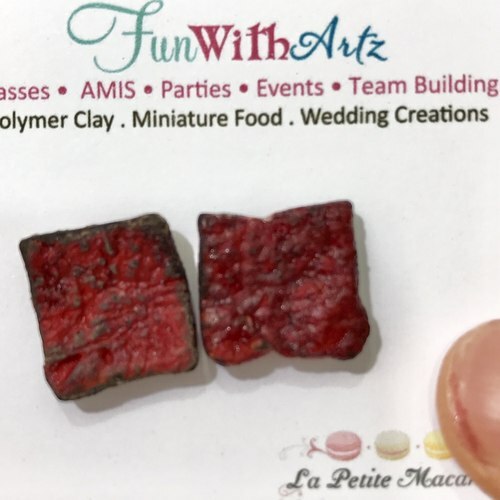 Thank you for visiting my little sweet jewelry store ♥ All images, ideas, designs and content already © Funwithartz. All rights reserved.